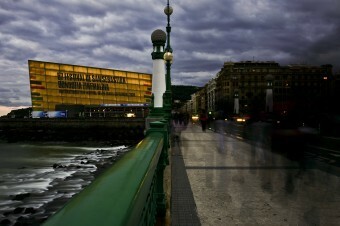 In addition to serving as an unquestionable showcase for national and international cinematography, Spain’s most important cinematic event, the Donostia-San Sebastián International Film Festival, considered to be among the four most important film festivals in the world alongside Cannes, Berlin and Venice, is moreover a fantastic platform for any company, institution, etc. wishing to make itself noticed with elegance, solvency and quality. The Festival couldn’t pay for itself solely with the sale of tickets and subsidies from public institutions; improving its quality also requires the generous contribution of sponsors and partners. And in fact it is thanks to the excellent relations existing between the Festival and these sponsors that benefits are mutual. We mustn’t forget that that this meeting between members of the film industry, the most important in Spain, attracts in only ten days the attention of millions of potential clients, offering companies a unique chance to present and advertise their image, services, and/or products. The only Festival in Spain to hold the International Federation of Film Producers Association’s top-level “non-specialised competitive” category, will celebrate its next edition at a moment of tremendous popularity and excellent image. The entire city participates in its Festival as it fills with visitors attracted by the movies, the Festival atmosphere, the local food and tourist attractions. Queues of people are often to be seen waiting to enter the over 650 screenings offering every spectator the film of his or her choice. During these ten days in September, San Sebastián becomes the capital of the film industry with artists, journalists and professionals from all over the world. Bette Davis, Anthony Hopkins, Vanessa Redgrave, Luis Buñuel, Alfred Hitchcock, Michael Caine, Claude Chabrol, Stephen Frears, Zhang Yimou, Bertrand Tavernier, Bernardo Bertolucci, Michael Douglas, Robert de Niro, Al Pacino, Susan Sarandon, Catherine Deneuve, Sean Penn, Jeanne Moreau, Pedro Almodóvar, Jeremy Irons, Kevin Costner, Francis Ford Coppola or Woody Allen, are only some of the great figures from the film scene to have visited San Sebastián over the years, backing this important cultural event with their presence. 1.043 journalists from over 545 media from 35 countries covered last year's Festival, contributing to the success of our sponsors and collaborators by vastly increasing the amount of information broadcast and advertising. Not many events succeed in attracting the attention of so many members of the media, a factor meaning that more and more companies decide to use the unique social and media environment of the Festival as a platform for direct, active marketing, placing their trust in our professionals for the joint organisation of events aimed at their clients, distributors and members of the press.